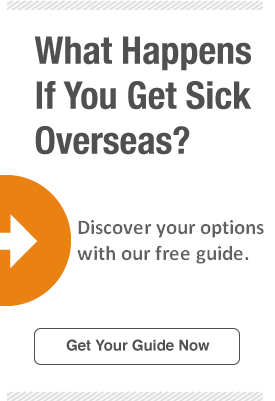 What Countries Require Health Insurance for Travel Visas? International travel is an exciting, educational experience. With an American passport, it is possible to visit many countries around the world without any pre-approved travel visa. However, some countries have added a new requirement stating that tourists and other visitors must have travel medical insurance for the duration of their stay. 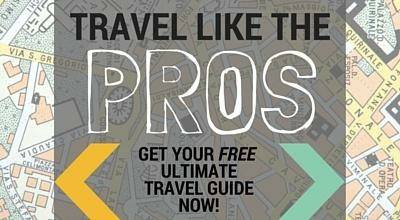 Here's what you need to know before you hit the road. As of 2012, Americans could enter 166 countries without a visa or with a visa on arrival. Popular countries to visit that do require an advanced visa include Brazil, China, Russia, India, Vietnam, and most countries in Africa, according to Business Insider. Before traveling to any country, look up visa requirement information at least a few months before your trip to ensure you have enough time to get your visa processed before departing. If you are traveling to a country that requires a visa, you generally can get your visa through the nearest United States consulate or embassy for that country. Some countries require you to apply for a visa in person, while others allow applications via other means, including by mail. How long does it take to get a travel visa? It can be as quick as a few minutes or as long as a few months. If you're facing a time constraint, some agencies can expedite the process for you, for a fee. The United States Department of State keeps an up-to-date listing of all world destinations and important tourism and visitation information, including visa requirements, available online here. Wherever your travels take you, it is imperative to know what to do in the event of a medical emergency. In some countries, healthcare is completely free for all residents and tourists. In many others, you will need your own medical insurance policy to cover any accidents or unexpected illnesses that may occur as you travel. While some insurance plans may cover international travel, that is not always the case. If you have Medicare, for example, you are not covered outside of the United States. If your insurance does not cover you abroad, you can purchase travel medical insurance ahead of your trip that will cover you while you are outside your home country. If you are a foreign visitor to the United States, be aware that there is no universal government health system. Instead, you should look for visitor health insurance. Some countries have even more strict requirements to enter or be approved for a visa. Those requirements may include specific vaccinations and a requirement for travel health insurance. The Centers for Disease Control and Prevention (CDC) website allows you to search by destination for a list of recommended and required vaccinations and other travel requirements. Some countries have travel visa requirements specific to health insurance. These requirements may be specific to Americans or universal to all incoming visitors. Again, be sure to check each country's entry requirements several months ahead of your travel plans. In addition, Abu Dhabi will deny entry to expats or foreign nationals that do not have valid health insurance, and proof of coverage is required for a visa. If you are going on an organized trip, check with your tour operator to find out if this required travel insurance is included in the cost. Another country that may ask for proof of travel medical insurance is Russia, as reported by WayToRussia.com. And Thailand is reportedly looking to make a similar requirement for international visitors. Travel insurance is not generally required to enter the large European Schengen Zone if you are visiting for business or tourism. However, it is still a good idea to have travel insurance for any European travel. Wherever your next adventure takes you, you can usually expect a wonderful, carefree trip. Just in case, you should have a backup plan in case you are injured or get sick. Things happen, and when they do, you can rest easy with an international travel medical plan like Atlas Travel insurance.